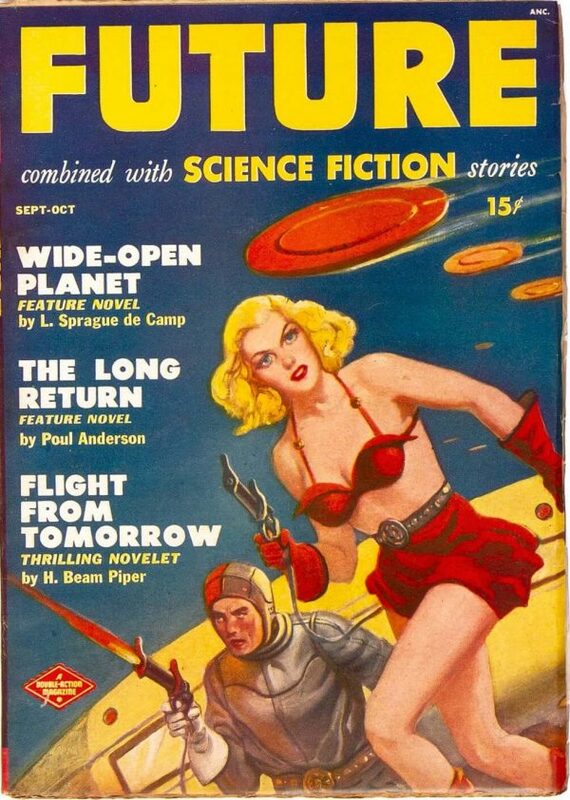 OK, I am NOT one of those militant feminists who decry the inherent sexism of the Science Fiction genre but look at what SHE is going into battle in and what HE is going into battle wearing. I know, I know, they want to attract the reader and sell the pulp, I totally understand. But a little subtitle at least. That is the perfect outfit for battle. Her opponents would be totally distracted and she’d be able to get off a shot. Besides, men don’t like hit women, so her widely broadcasting she’s a woman will go in her favor.